The roof is composed of pre-engineered roof-trusses. The roof are engineered to meet or exceed the requirement for the code of the location where the construction wiill be erected. 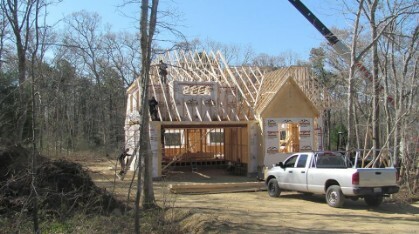 The 1/2" spruce plywood with "H clip" are send with the roof trusses. Some 2"x4" and 2"x6" lumber are provided for sub-fascia and bracing.